After living in LA and Washington, D.C., a Middletown native returned to bring her hometown the health and wellness services they deserve. Read on for the zen-inducing details. Haven Studio is a new yoga and wellness center located in downtown Middletown. Ami Vitori-Kimener has spent the last 20 years living in major cities like Los Angeles and Washington, D.C. However, she recently made the move back to her hometown of Middletown. It was then that she really noticed the lack of health and wellness services available to the community. Eventually, she came up with the idea to bring both of those ideas under one roof to give parents and their children can get what they need in one space. That idea was launched as Haven Studio. 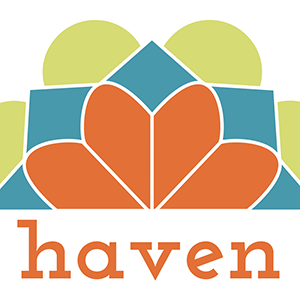 The staff at Haven Studio includes experienced teachers, practitioners, and educators. “Have is a destination for everyone seeking a place to enhance body, mind, and spirit,” says Vitori-Kimener. Haven Studio is located in Middletown’s Torchlight Pass, a four-story building that Vitori-Kimener purchased herself in May 2016. From the time she purchased the building, Vitori-Kimener knew she wanted to create a destination that would help in the efforts to revitalize downtown Middletown. With demolitions done and construction done on the street-level spaces, Haven Studio found its home in one of those spaces. Vitori-Kimener says that in the remaining commercial spaces in the building, she will take part in the opening of a new restaurant called Gracie’s and is welcoming a boutique hair salon called MC Hair Salon, which will be opening soon. “We are really trying to create a destination where people can come and discover and enjoy a variety of offerings,” she says. Haven Studio officially opened on Oct. 31. Before opening, however, Vitori-Kimener was hosting preview classes in a downstairs studio, where she saw a great turnout. “It’s amazing to see how grateful and excited people are to have Haven in their town,” she adds. Because of the focus on healing the body, mind, and spirit, there are a variety of classes offered at Haven Studio. Yoga classes include Slow Flow, Gentle, Vinyasa, Yoga 101, a Lunchtime Yoga, and BROGA, a class for men. 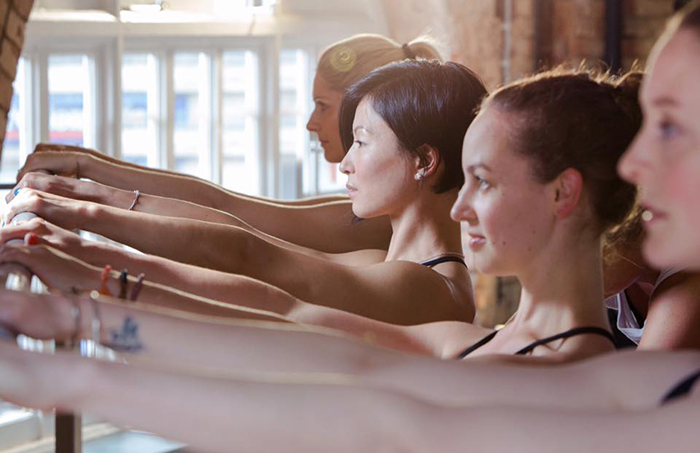 With the official opening of Haven Studio, Vitori-Kimener added Yin, Hot Vinyasa, Sweet Vinyasa, Ashtanga, Restorative, Meditation Classes, Aerial Yoga, and PiYo. Drop-in yoga classes at Haven Studio are $12 and $8 for seniors. Childcare will be added during specified classes for an additional $8 per class for the first child and $6 for siblings. Packaged yoga classes are available at Haven Studio include a 10-class package for $100 and unlimited monthly options for $69. Vitori-Kimener says she also plans to do special offers and holiday packages. Although Haven Studio just officially opened, Vitori-Kimener says she’s already looking forward to the future. She plans to continually add practitioner services, products, and workshops to grow the community and expand Haven Studio’s offerings. “We have an acupuncturist with a Masters of Chinese medicine who also does cupping and herb consultations, a Reiki master, and a massage therapist,” she says. They’re also hoping to bring more holistic and integrative opportunities to customers as well. Retail is also on the horizon for Haven Studio. Vitori-Kimener plans to bring in yoga brands such as Teeki and Onzie, local hand-batched and organic wellness products, and a children’s section. As for the children’s space, Vitori-Kimener says she wants to offer the space to be rented for children’s birthday parties on Saturdays and Sundays. To learn more about Haven Studio or check out their class schedule, visit havenmiddletown.com or like them on Facebook. You can book yoga classes online and make practitioner appointments there as well.